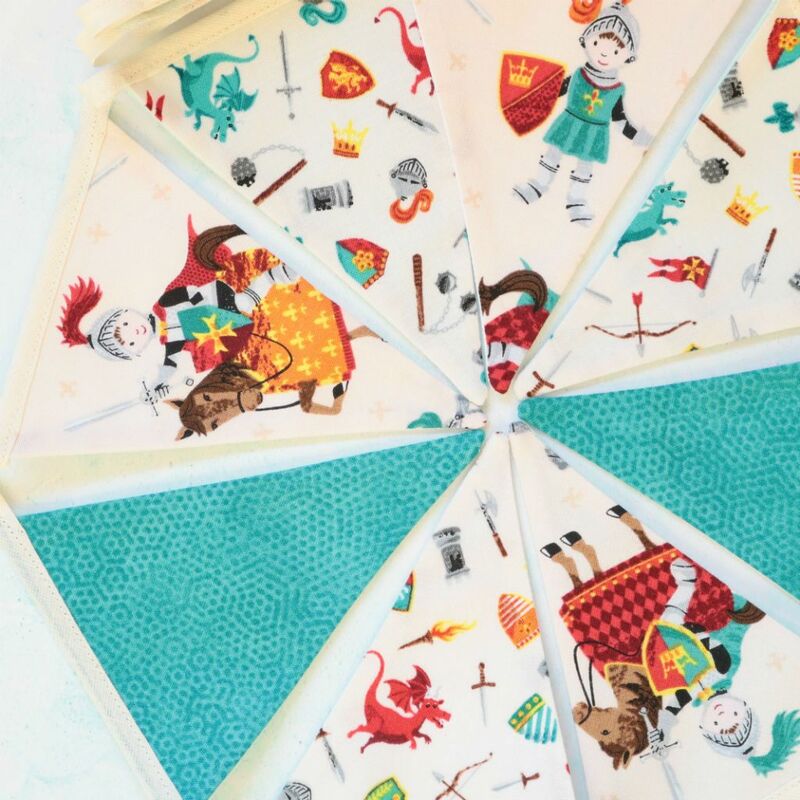 Finding fabric suitable for boys is always a challenge but we think we have hit the mark with this string of mini bunting that features heroic knights and fire breathing dragons. This string will certainly stimulate any child’s imagination and transport them to a mythical world like Camelot. It features five pennants of heroic knights on cream. Five pennants with a scatter on cream of fire breathing dragons, shields, swords and other medieval weapons. Finally there are four pennants of dark turquoise that provide a vivid contrast to the scenes of the knights. 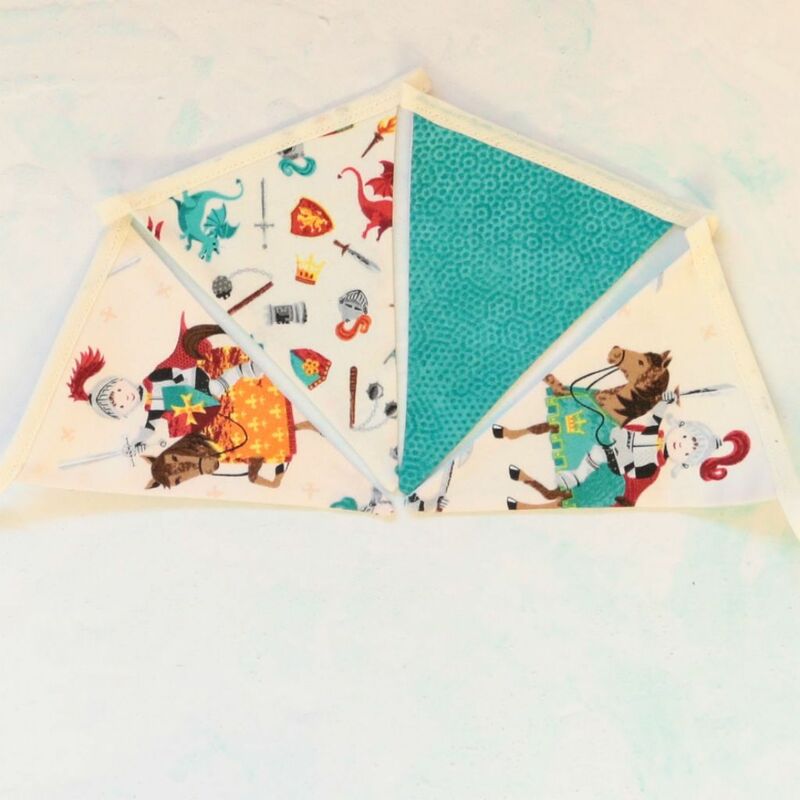 This bunting can be used to decorate any room in your house but would be particularly suited to a boys bedroom, child’s playroom or a den where your children go to escape. The Knights and Dragons bunting is made from 100% cotton.